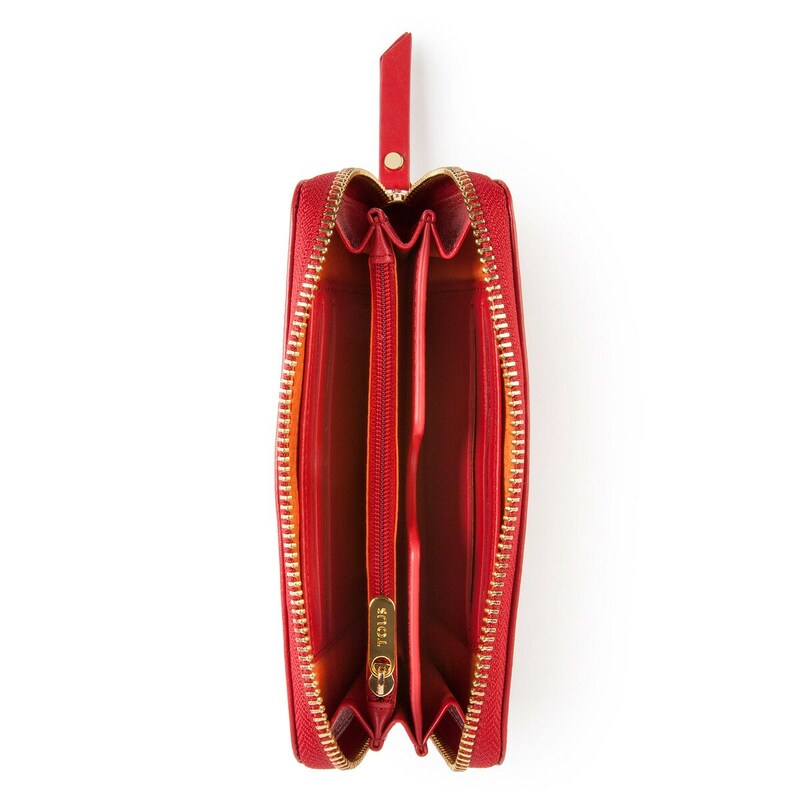 Red color bovine leather Dubai Piel collection wallet Thalia model. Zipper closure. Six pockets for cards and three for bill. Dimensions: 9cm. x 16cm. x 2cm.